Next Friday, Feb 13, be sure to stop by the Inkwell Jazz Cafe between 7 and 9 pm, when Mind Open performs. 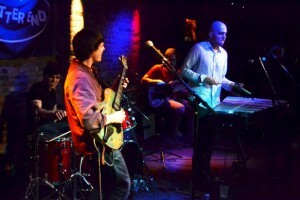 The band features Chris Covais on vibraphone, Andrew Ahr on guitar, Hugo Lopez on drums, and Chris Eisener on bass. Come hear rare grooves from jazz-funk, rock, and psych genres.